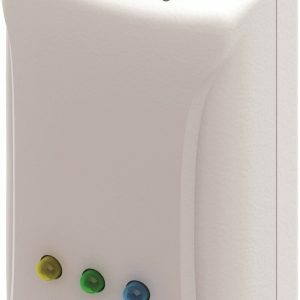 A fully standalone wireless device that can be place anywhere in a facility, the NC-103 has two standard user serviceable AA batteries for long battery life. 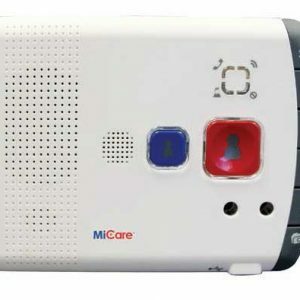 The NC-103 Pull Station is the perfect accessory to the MiCare advanced nurse call solution. 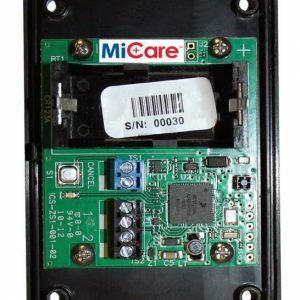 A fully standalone wireless device that can be place anywhere in a facility, the NC-103 has two standard user serviceable AA batteries for long battery life. The stylish design follows the same lines at the NC-2000 Patient Unit and boasts 3 buttons, pull cord and external input from the rear. 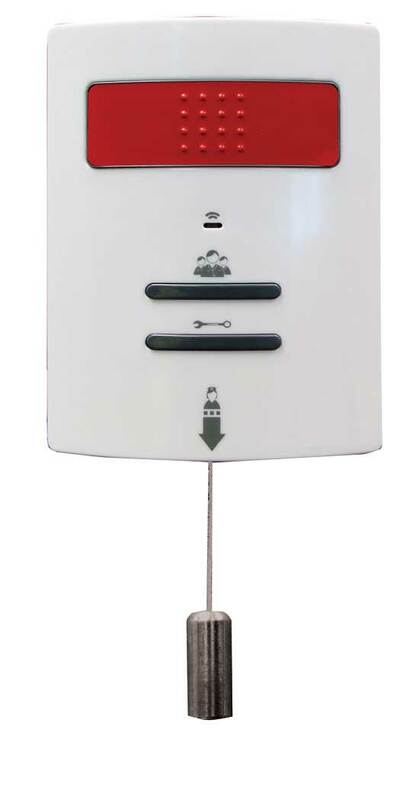 An easy to identify main emergency button, a germ wipe-able pull cord that will never tangle and always hangs straight. Two addition buttons for staff assist and room maintenance request. Two terminal blocks on the rear of the unit provide an additional input for door contact or flood detectors in bathroom areas. It easily mounts in a single gang PVC box and comes with a locking bolt to secure the device after installation. Attach the mounting plate first and snap in place.